Available Now on our Dock! Ocean Trawler Yachts specializes in sales of trawlers and other fuel -efficient yacht designs. 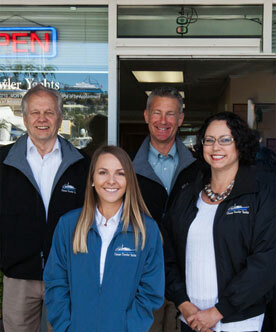 Our Seattle yacht brokers have over 80 years combined experience in yacht brokerage. We know the market and how to maximize the resale value of your vessel. Our office and slips are strategically located on South Lake Union, two blocks off I‐5 at Chandler ’s Cove where the Seattle Boat Show is held. We can help you buy a yacht or sell your yacht today. We offer a full range of fine brokrage yacht brands including: Selene trawlers, Nordhavn, Kadey Krogen, Fleming and others. Ocean Trawler Yachts is now the official dealer for Seahorse Marine Trawlers on the West Coast. With sound design and construction, enviable range and all around comfort, learn what Seahorse has to offer. Among yachts for sale, Selene yachts are always popular choices. 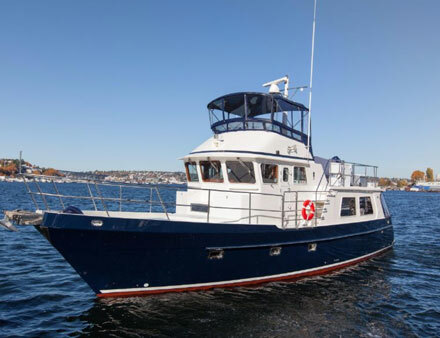 Whether cruising across the bay or across the Pacific, Selene trawlers incoporate a fabulous combination of design features and philosophies to provide a safe, comfortable, and pleasant passage. State-of-the-art manufacturing processes permit Jet Tern Marine, (builder of Selene yachts) to offer Selene trawlers at prices that are both reasonable and affordable when compared to other trawler yachts. Among yachts for sale, Selene trawlers are excellent values. 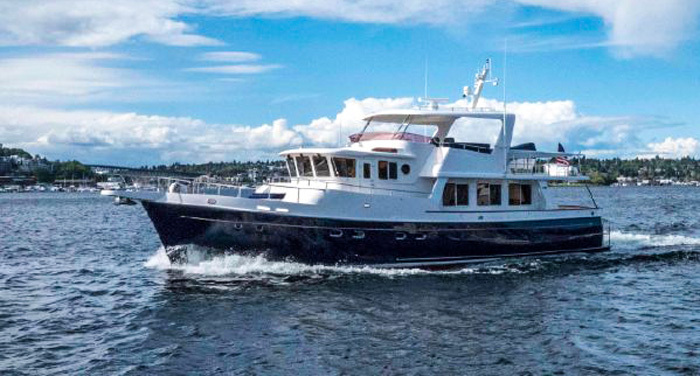 Ocean Trawler Yachts is committed to helping our customers realize their cruising goals whether this means exploring the San Juan Islands or cruising to Alaska and points beyond. We are a full service brokerage that specializes in the sales of trawlers and other fuel efficient, long range yacht designs. This includes Seahorse Trawlers, Selene Yachts, Selene Trawlers, Nordhavn Yachts, Kadey Krogen Yachts, Fleming Yachts and many others. Our experienced sales team will guide you capably and professionally toward making an informed choice to purchase a well found vessel at a fair negotiated market price. Ocean Trawler Yachts also offers after sale service and commissioning to fully support the yachts we sell. We have developed our business by earning the trust and confidence of people who we may first meet as customers, but ultimately become friends and part of our community on the water. We take great satisfaction that our customers frequently drop by just to say hello. For us, this is confirmation that we have succeeded. We look forward to the opportunity to serve you. Our video marketing program is the most effective way to sell your yacht.